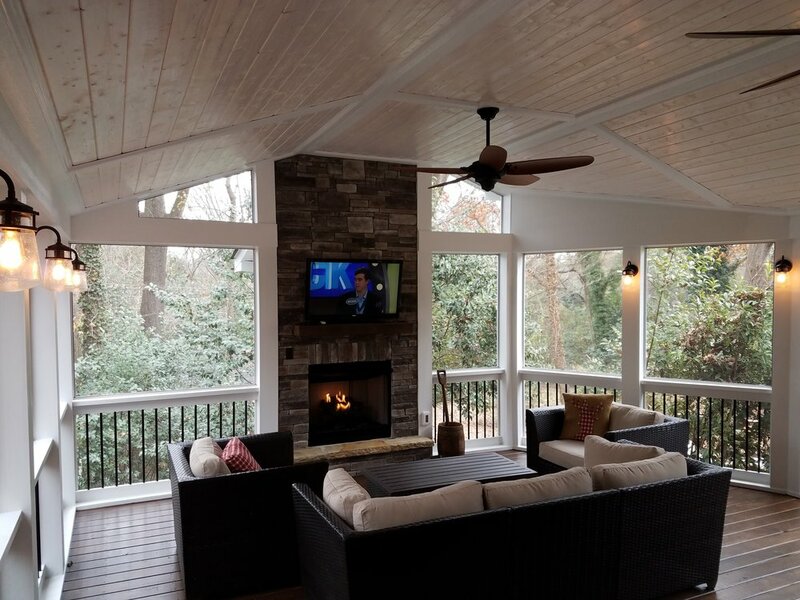 Here is a beautiful screened porch in the Murrayhill section of Charlotte. 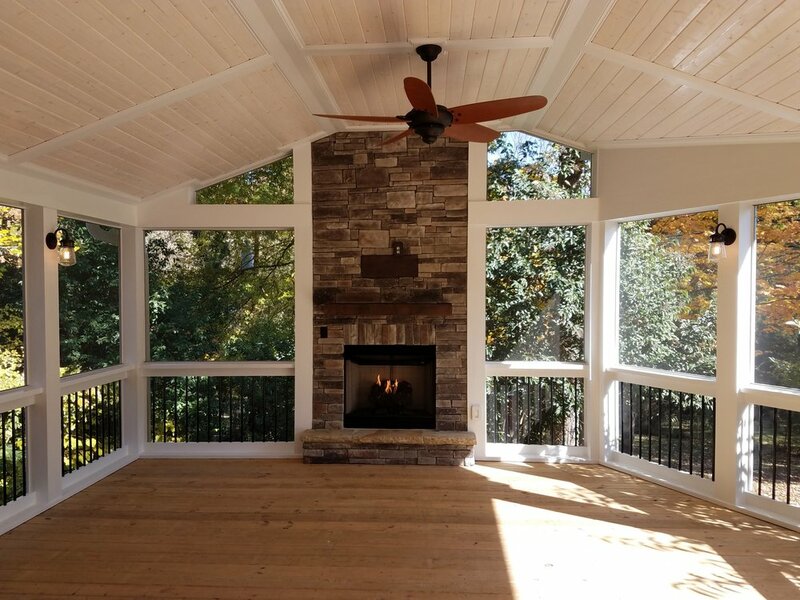 The porch is tall enough off of the ground to accommodate the homeowners need for a workshop down below. The floors are pressure treated pine with a Sherwin Williams stain. 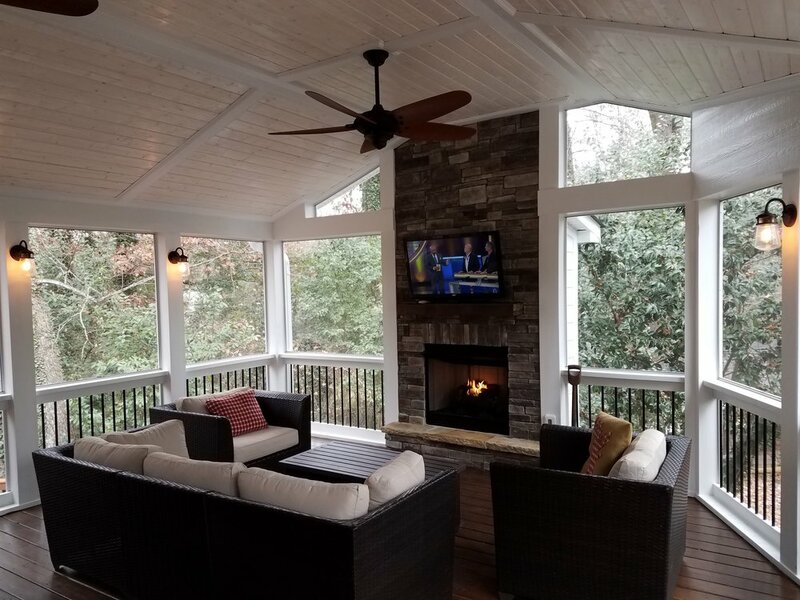 The porch walls consist of 6x6 Cox laminated porch posts and the railing is round, black aluminum Deckorator ballusters. The ceiling consists of 1x6 V-Groove panels with a pickled Sherwin Williams white stain. The room is balanced off with a vent free gas fireplace with cultured stone, large cedar mantle, stone hearth and a TV for loads of fun evenings outside with family or friends. The room is lit up with 7 wall sconces and 2 ceiling fans keep it cool during the warm summer nights.